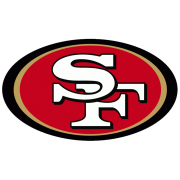 The San Francisco 49ers ushered in the Chip Kelly era with a statement win Monday night, shutting out the divisional rival Los Angeles Rams 28-0 at Levi’s Stadium. Last year, Carlos Hyde seemed intent on overshadowing his superstar counterpart during the league’s inaugural Monday night showcase. He did just that once again, nearly doubling the output of second-year, All-Pro Rams running back Todd Gurley. Hyde propelled the 49ers offense forward with an impressive 88-yard, two-touchdown showing in which he looked to assert himself as an elite running back during his junior year. This story has been updated with additional material and quotes from the 49ers locker room at Levi’s Stadium. But Hyde’s besting of Gurley was aided by a stout defensive effort that snuffed out the Rams’ biggest offensive weapon. 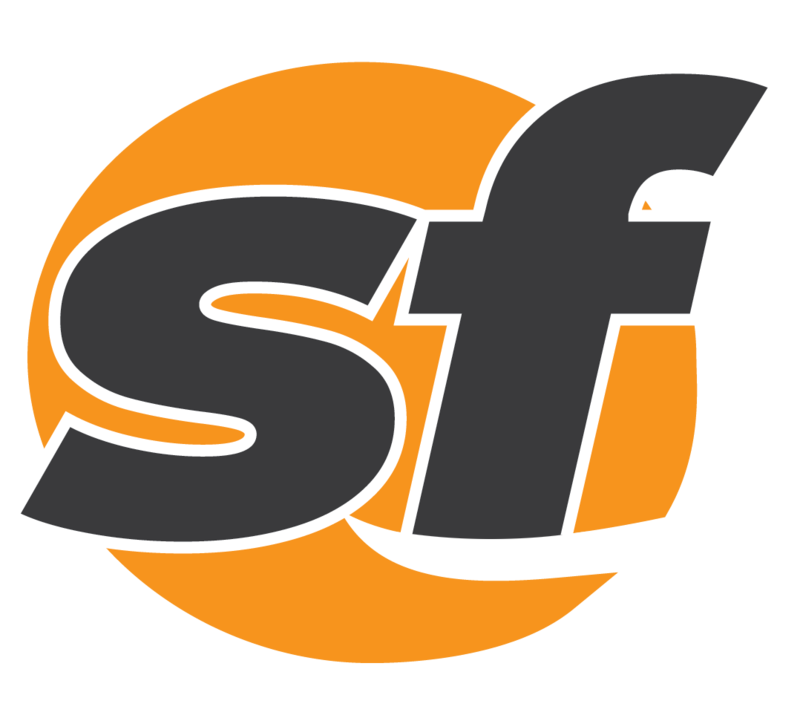 San Francisco’s defense smothered Los Angeles, holding them to 186 total yards on the night while forcing 10 punts and three turnovers. 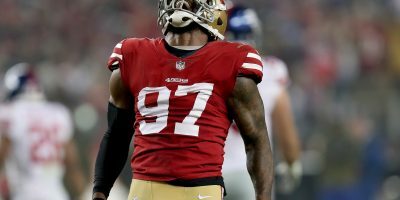 The 49ers front seven, anchored by starters Quinton Dial and Arik Armstead, had little problem breaking through a weak Rams offensive line, notching two sacks of the ineffective Case Keenum (17-of-35, 2 INT) and four tackles for loss while holding Los Angeles to just 10 first-downs on the night. 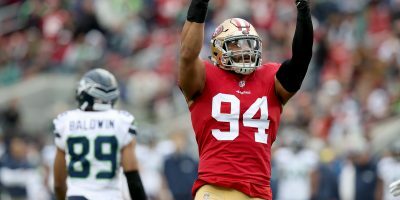 The 49ers adorned themselves to their in-state rivals with an aggressiveness that permeated through both sides of the ball on Monday night. 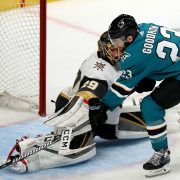 Like a ghost of their past selves, San Francisco used a stifling defensive effort to pave the way for a physical ground attack that rumbled to early lead from which Los Angeles was never able to recover. 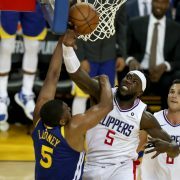 In the race to establish the run, Los Angeles was barely able to get off the starting line. Dialing up pressure on all fronts, the 49ers defense honed in on the Rams’ biggest offensive weapon in Gurley, bottling him up for just 47 yards on 17 carries. 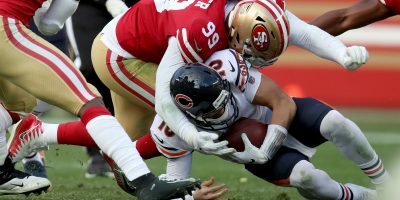 While the Rams struggled to find daylight, the 49ers revamped offensive line paved the way for an impressive outing by San Francisco’s running backs, who punished a respectable Los Angeles defense to the tune of 150 yards rushing. Hyde opened up San Francisco’s scoring with an 11-yard dash up the gut after shaking defenders with a deceptive shimmy near the line-of-scrimmage in the first quarter. Shaun Draughn would follow suit with a score of his own after bouncing outside for a 3-yard plunge just two drives later. Hyde would score later in the fourth quarter on a one-yard plunge after a slew of penalties stemming from the Rams’ growing frustrations gave the 49ers offense a cheap trip near the goal line. 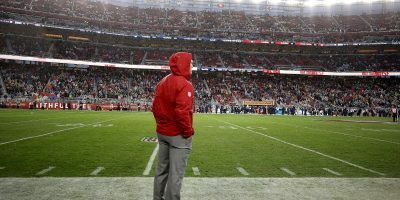 Head coach Chip Kelly showed both faith and fire during his coaching debut at Levi’s Stadium, leaving the offense on the field for two fourth-down tries early in the game. QB Blaine Gabbert (22-for-35, 170 yards, 1 TD) rewarded his faith, connecting with WR Jeremy Kerley to convert a 4th-and-6 with a diving 18-yard reception that would lead to Draughn’s score later in the drive. San Francisco was as efficient on the night as it was aggressive, scoring on every red zone opportunity (4-for-4) they had on the night while converting 8-of-17 third downs as well. 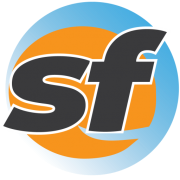 But the 49ers rushing attack was just about the only thing working on offense, as Gabbert’s uninspiring season debut stalled what could have been a rolling San Francisco attack. 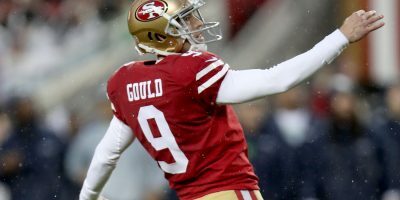 The 49ers’ starter struggled with his ball placement, throwing low or behind receivers on multiple occasions for incompletions. When Gabbert did connect, the results were hardly damaging, averaging just 4.9 yards per attempt in a game full of checkdowns. Gabbert’s two longest plays of the night came on his 18-yard, 4th-down completion to Kerley, and a 35-yard pickup made possible by a nice stop-and-go by WR Quinton Patton in the fourth quarter. Gabbert would connect with Vance McDonald on an 8-yard reception moments later for his lone touchdown of the night. 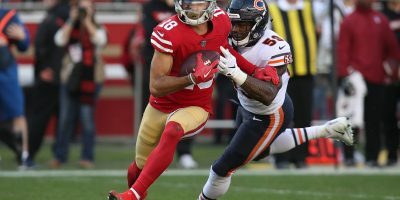 Newly-arrived receiver Kerley had himself a nice debut,however, leading all 49ers receivers with seven receptions for 61 yards despite having just joined the team last week. 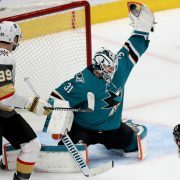 Gabbert’s outing was the only blemish on a night that was not only full of contributions from all over the roster, but was also nearly flawless in its execution. Fresh out of a 2-2 preseason, a buttoned-down San Francisco squad committed no turnovers while also limiting themselves to just two penalties for 10 total yards. The Rams, in contrast, capped an already-sloppy evening with a costly Aaron Donald meltdown and disqualification that advanced San Francisco 27 yards downfield en route to their fourth and final score. When asked about his first win on the 49ers sideline, Kelly was keen to praise his team’s disciplined approach. San Francisco’s win was certainly an encouraging way to kick off the 2016, but it may be tough sledding for the team from here on out. The team will run a gauntlet of potential Super Bowl contenders within the upcoming weeks, including the Seattle Seahawks, Arizona Cardinals, New England Patriots and Carolina Panthers within the five weeks.